Through sustained federal, state, and local investments over several decades, a growing number of K-12 schools, public libraries, and other community anchor organizations (CAIs) in the United States and around the world now have fiber-based internet connections capable of providing gigabit speeds to end users. Many of these schools and libraries are eager to explore ways to effectively utilize this robust scalable broadband infrastructure to better serve the needs of their local communities in new and innovative ways. 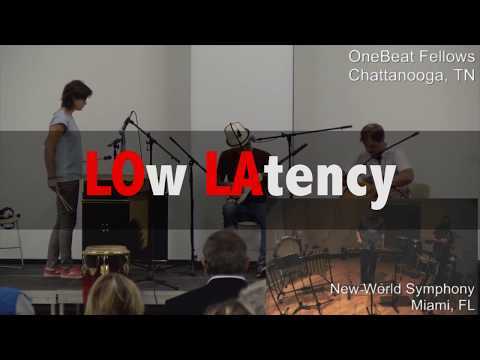 LOLA, an open source Low Latency audio and video conferencing technology that enables real-time, simultaneous, live musical performances across long distances, is emerging as an exciting opportunity for schools and libraries. Using LOLA they can fully leverage their advanced high-speed connectivity to allow students to greatly expand their musical horizons and community members to share their unique musical talents with the rest of the world. LOLA is developed by the Guiseppe Tartini Music Conservatory in Trieste, Italy, and the Italian Research & Education network GARR. To watch LOLA in action, please see the following performance of Handel/Halvorsen’s “Passacaglia” and a brief LOLA promotional video aimed at CAIs. Responding to an emerging interest nationally amongst the growing number of CAIs with high-performance network connectivity, the Internet2 US UCAN community launched the LOLA for All working group in July 2016. This diverse group of practitioners meets monthly to identify and promote LOLA collaboration opportunities, share best practices, and resource toward increasing the thoughtful and impactful use of LOLA in K-12 school, libraries, music conservatories, performing arts centers, and other community anchor institutions around the country. Read more about the LOLA for All working group.